This article presents the conclusions of a book published concomitantly by the Bibliothèque royale de Belgique: Philippe Vandermaelen, Mercator de la jeune Belgique. Histoire de l’Établissement géographique de Bruxelles et de son fondateur. This publication is the result of twenty-five years of research in the Maps & Plans section, the depository of the exceptional cartographic and documentary collection from the Établissement géographique de Bruxelles. The article and work it refers to present the life of the visionary geographer in a chronological journey centred on his cartographic production (methodology, collaborations, surveys, levelling, commercial management, etc. ), ending with a passing of the baton to the Dépôt de la Guerre, the future Institut géographique national. It also opens the doors to Vandermaelen’s different institutional creations in a cross-cutting approach: the documentation centre, the natural history gallery, the lithography school and the École Normale, the museum of ethnography, and the organisation of scientific expeditions. Cet article présente les conclusions d’un livre édité concomitamment par la Bibliothèque royale de Belgique : Philippe Vandermaelen, Mercator de la jeune Belgique. Histoire de l’Établissement géographique de Bruxelles et de son fondateur. Cette publication est l’aboutissement de vingt-cinq années de recherche au sein de la section des Cartes & Plans, dépositaire de l’exceptionnelle collection cartographique et documentaire de l’Établissement géographique de Bruxelles. L’article et l’ouvrage auquel il se réfère restituent la vie du géographe visionnaire, dans un cheminement chronologique où l’axe principal est sa production cartographique (méthodologie, collaborations, levés, nivellements, gestion commerciale, etc.) pour aboutir à un passage de témoin au Dépôt de la Guerre, futur Institut géographique national. Il ouvre aussi, dans une démarche transversale, les portes des différentes créations institutionnelles de Vandermaelen : le centre de documentation, la galerie d’histoire naturelle, l’école de lithographie et l’École Normale, le musée ethnographique, l’organisation d’expéditions scientifiques. Dit artikel stelt de conclusies voor van een boek dat mede werd uitgebracht door de Koninklijke Bibliotheek van België: Philippe Vandermaelen, Mercator de la jeune Belgique. Histoire de l’Établissement géographique de Bruxelles et de son fondateur. Deze publicatie is het resultaat van 25 jaar onderzoek binnen de afdeling Kaarten & Plannen, waar de buitengewone cartografische en documentaire collectie van het Établissement géographique de Bruxelles wordt bewaard. Het artikel en het boek waarnaar het verwijst, vertellen het levensverhaal van de visionaire geograaf volgens een chronologisch verloop met als rode draad zijn cartografische productie (methodologie, samenwerkingen, opmetingen, nivelleringen, commercieel beheer, enz.) tot de overdracht naar de Dépôt de la Guerre, het latere Nationaal Geografisch Instituut. Het geeft ook een transversaal overzicht van de verschillende institutionele creaties van Vandermaelen: het documentatiecentrum, de natuurhistorische galerij, de school voor lithografie en de normaalschool, het etnografisch museum en de organisatie van wetenschappelijke expedities. 1No one could have foreseen that Philippe Vandermaelen, born in Brussels on 23 December 1795, would become the greatest Belgian cartographer since Mercator and Ortelius. Son of a doctor who had become a wealthy soap maker, moving in a business environment and self-taught, he became a dealer of chemical and pharmaceutical products. As a geography fanatic, there was a definitive shift in his career when, in 1825, he began to publish a revolutionary Atlas universel which established him as a cartographer. Five years later, on the eve of Belgian Independence, he built a phenomenal and totally private cartographic, museological and scientific complex in Molenbeek-Saint-Jean, at the gates of Brussels. 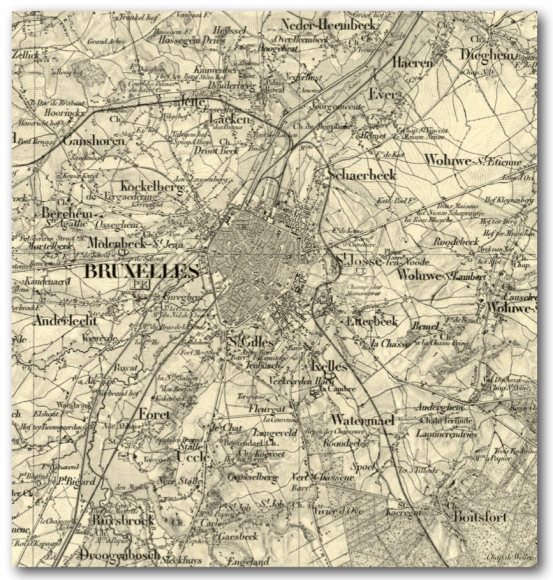 The Etablissement géographique de Bruxelles became the “intellectual coterie of the capital” [Cuvelier, 1938: 110], and at the same time a prolific centre for the production of maps. For several decades, its founder was virtually the official cartographer of the new country of Belgium and of an industry in full expansion. After ensuring the transmission to the Dépôt de la Guerre – the official state body for cartography – Vandermaelen died on 29 May 1869. His death was met with indifference almost everywhere. 2In 1880, when the collections of the Etablissement Géographique were liquidated, almost all of Vandermaelen’s production and cartographic collections ended up at the Bibliothèque royale de Belgique as a legacy or as a purchase. This arrival by far exceeded the institution’s means in terms of inventory, cataloguing and conservation, with the result that everything was kept in the storeroom to wait for better times. It was not until the middle of the 20th century that the curator of the Maps & Plans section discovered the exceptional importance of this collection and decided to restore the forgotten cartographer to favour. It was not until 1990 that funds were released in view of making a systematic inventory of these collections. Between 1994 and 2000, the first four volumes of the Inventaire raisonné des collections cartographiques Vandermaelen conservées à la Bibliothèque royale de Belgique – dedicated to atlases, maps and plans of Belgium – were published. In 2011, the inventory dedicated to the Atlas universel was completed and, in 2014, a biographical dictionary of Vandermaelen’s collaborators: Autour de Philippe Vandermaelen. Répertoire biographique des collaborateurs de l’Établissement géographique de Bruxelles et de l’École Normale. Finally, in 2016, the Bibliothèque Royale published the history of the Etablissement géographique de Bruxelles and the biography of its founder: Philippe Vandermaelen, Mercator de la jeune Belgique. Histoire de l’Établissement géographique de Bruxelles et de son fondateur. The conclusions of this summary – the result of twenty-five years of research – are presented here. 3As a visionary geographer, Philippe Vandermaelen was interested in the universe and our globe before turning his attention to his country of birth. In a philosophical rather than technical approach, he went from general to specific, from the vastness of the Earth to the immediate proximity of the region. His position as a cartographer was established with the first issue of the Atlas universel in July 1825. This original and hugely ambitious concept caused a sensation. As soon as the first issues were published, Adolphe Quetelet had sensed that Vandermaelen was of the same calibre as Hondius, Ortelius and Mercator [Quetelet, 1825: 351]. 5With his Atlas universel, Philippe Vandermaelen was 65 years ahead of the first international world map project, proposed at the Ve Congrès international des sciences géographiques in 1891 in Bern. Based on a proposal by Albrecht Penck (1858-1945), professor at the University of Vienna, a decision was made to “take the initiative of the study of a large map of the Earth to the scale of 1:1 000 000” [Congrès international de géographie, 1892: 105]. Vandermaelen’s Atlas, which was based on the postulates defended by Penck – single scale and projection – had probably come too soon and – as the fruit of an individual initiative far from the official institutions – was soon forgotten, especially in Europe. While Vandermaelen was still mentioned in 1880 as the 19th century counterpart of Ortelius and Mercator, it remained insignificant.2 In 1931, when Josef Wasowicz (1900-1964), professor at the University of Lemberg and future director of Institut cartographique E. Romer, underlined at the Congrès international de géographie de Paris the remarkable earliness of Vandermaelen’s Atlas in the history of world cartography, a participant pointed out that “although Vandermaelen had the idea to make a world atlas on a single scale, it was carried out thanks to William I, King of the Netherlands” [Wasowics, 1934: 678]. This long-standing legend was due to some confusion with the Etablissement Encyclographique of Pierre-Joseph Meeus-Vandermaelen, Philippe’s brother-in-law. The Atlas universel owed the Dutch sovereign nothing but an inevitable dedication. 6Elsewhere in the world, and in particular in places where Vandermaelen is known as the first cartographer to map an entire area, such as Australia, New Zealand and the United States, the Atlas universel is still considered as a superior document. 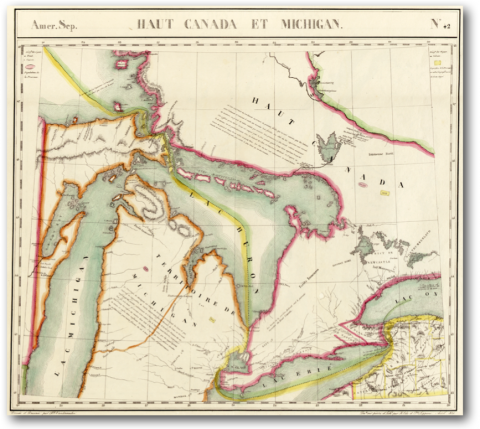 The American David Rumsey recognised that, “for many of the areas depicted, these maps are the largest scale maps made at the time, and the most detailed (particularly in the American West)”.3 Private collectors know it as “a rare and remarkable atlas, a must for serious atlas collectors interested in North America”.4 Specialised houses sell maps “published in the first atlas of the world on the same scale, [and] some of the more remote areas of the world such as this are shown in unprecedented detail”.5 It is the object of studies or applications conducted or supported by scientific institutions and cartography historians. Today, thanks to image processing technologies, Princeton University in the United States has designed an animated version in three dimensions of Vandermaelen’s globe, based on assembled maps from the atlas, and has made it available online. 7After the Earth, Vandermaelen focused on our old continent and produced the Atlas de l’Europe. Admittedly less spectacular than the Atlas universel but remarkably exact and containing a wealth of information, the Atlas de l’Europe was also the product of a critical compilation of the best documents and partial maps obtained by the cartographer. According to Jean-Charles Houzeau, it constituted “a sort of revision of the geography of this part of the world” [Houzeau, 1873: 114]. For many decades, it was a frame of reference for current international events. At the end of the century, Colonel Hennequin, director of the Institut cartographique militaire, pointed out that it was still requested at each continental war, “for its exactitude and the multiplicity of details” [Hennequin, 1891: 288]. It also became essential abroad. We know that in 1844 it was offered as a diplomatic gift to the Japanese shogun by the King of the Netherlands [Shimazu, 2015]. Vandermaelen’s Atlas thus became the main source of knowledge of the European continent for the civil servants and students in a country which still lived in almost complete isolation. 8The birth of independent Belgium triggered Vandermaelen’s will to deepen the knowledge of our territory – which he felt was an urgent necessity – in order to contribute to the assertion and building of the country. He concentrated on compiling geographical dictionaries of our provinces and undertook complete, precise and reliable cartographic coverage of the country. 9The realisation of two complete topographical maps of Belgium by a private individual was an exploit which was recognised and praised in the national sphere as well as abroad. When the map at a scale of 1:20 000 was completed, British scientists noted with admiration and surprise that in Belgium, the introduction of the decimal scale in the making of maps had escaped governmental decision and was taken care of quite remarkably by a private individual [British Association for the Advancement of Science, 1858: 172]. “Thanks to this work,” asserted Houzeau at the beginning of the 1870s, “among all of the countries of Europe, Belgium now has a complete topographical map made on the biggest scale” [Houzeau, 1873: 125]. “Never in the history of cartography,” as underlined half a century later by a former executive director of the Institut cartographique militaire, “has such an effort been accomplished or such results obtained by a private individual with no official support” [Seligmann, 1938: 29]. 10Vandermaelen broke resolutely with 18th century cartography. In 1831, with his map based on Ferraris, Vandermaelen had turned his back once and for all on the “artistic sentiment” which had prevailed from Mercator to Ferraris, as observed by Hennequin in 1891, before reintegrating it in combination with “the system of geometric representation” in his map at a scale of 1:80 000, which represented “true artistic perfection” [Hennequin, 1891: 243; 1885: 156]. Half a century after the publication of the first maps at a scale of 1:80 000, the director of the Institut cartographique militaire carried out a systematic comparison of Vandermaelen’s map and that of Ferraris. He noticed that the former was distinctly superior as regards the geodesic triangulation and the exactitude of the trigonometric structure, the geographical positions, the number and the exactitude of toponyms, the geometric representation of places, the details of built-up areas, and the representation and typology of transportation routes. 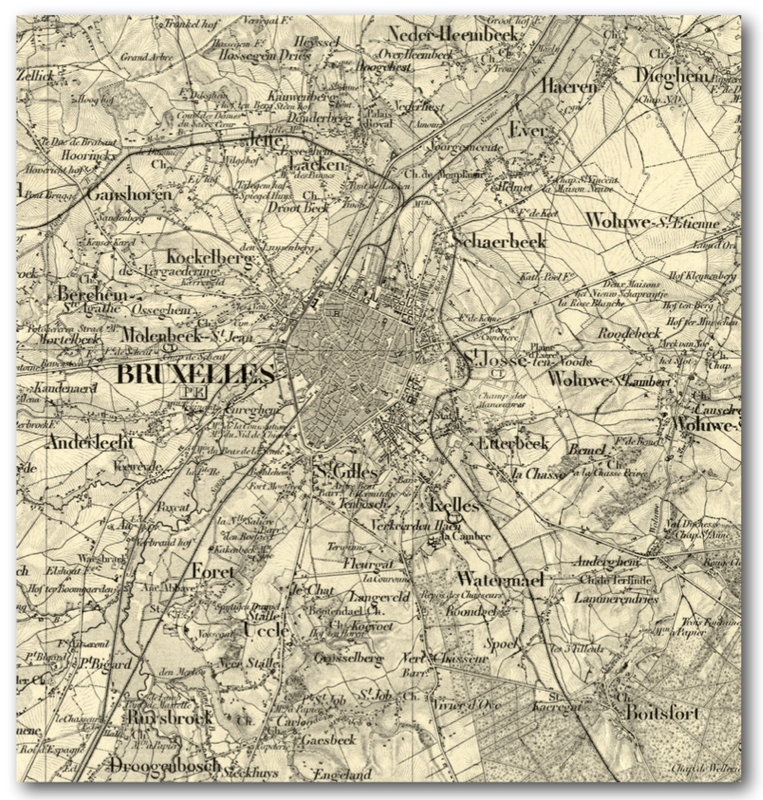 The map made by the Brussels cartographer constituted “incontestable progress” [Hennequin, 1891: 231-232]. Vandermaelen’s maps “will remain models with respect to their design as well as how they were made”, insisted the officer, who, let us underline, considered Vandermaelen as the forerunner of the Dépôt de la Guerre [Hennequin, 1891: 225, 228]. 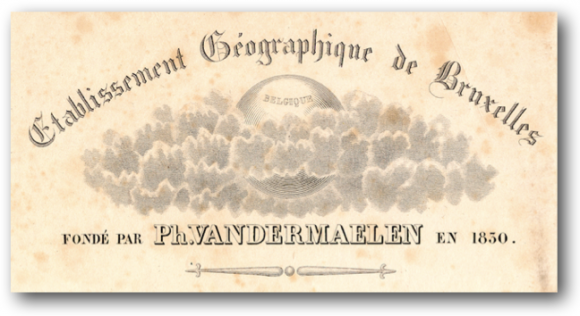 11Vandermaelen was the forerunner of the Dépôt de la Guerre above all because he had created topographical maps in Belgium. He had determined the scale and introduced and imposed the lithographic process. For at least thirty years, he allowed the young state of Belgium to assert its autonomous existence and pursue its economic development. 6 VDM collection 2853 and 2868. 13When Vandermaelen founded his Etablissement, he followed this through to the end. He created a space intended to centralise all branches of geography at universal level, as well as their resources and development. 14After Independence, Vandermaelen endeavoured to study his country like a true patriot. In addition to his contribution to cartography, we must underline his contribution to national geography. In the 1830s – as pointed out by Houzeau forty years later – “the territory of Belgium with its natural productions, climate, archaeology and history of the country, had scarcely been studied. The enlightened class among our fellow citizens took no interest at all in the knowledge of the region. The study of natural science had been completely neglected. There was neither fauna nor flora typical of Belgium, and there were no contour descriptions, observations on the climate, tides or natural recurring phenomena. 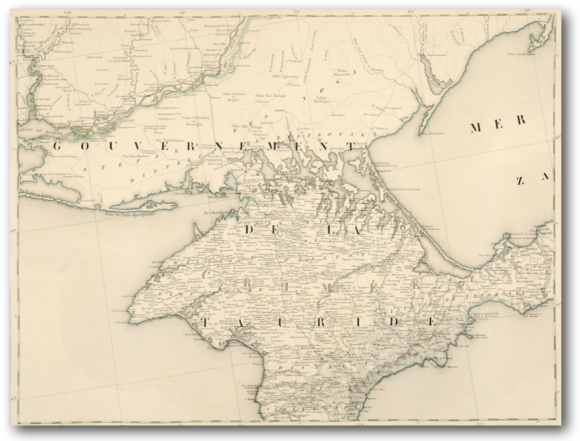 Ardenne was thus less known than the Alps or even the Andes. And among our fellow countrymen, there were scarcely twenty or so readers who were able to appreciate and understand the first geognostic sketch of the country, made by our venerable Omalius d’Halloy. Belgium therefore remained as a small terra incognita in the middle of western Europe” [Houzeau, 1873: 128]. It was in this context of ignorance that Vandermaelen undertook the description of our provinces. Between 1831 and 1838, he published the Dictionnaires géographiques for the provinces of Antwerp, the two Flanders, Liège, Namur, Hainaut, Limburg and Luxembourg. The work was admittedly imperfect and incomplete, as the dictionary of Brabant was never published, but it had the virtue of offering Belgians the first geographical studies and general descriptions of their regions, and gave them a taste for studying their country at last.8 Vandermaelen opened up the way to national geography. He was the “restorer of geography in Belgium”, to use the words heard at a meeting of the Société de géographie d’Anvers, forty years after the publication of the last dictionaries [Delgeur, 1877: 439]. 15The Etablissement Géographique de Bruxelles was an unheard of achievement in Europe, which was so unlikely to have been accomplished by a private individual and was applauded by all visitors (Belgians and foreigners, from all cultural and professional backgrounds). Let us quote the editor of the Annales of the Société royale d’horticulture de Paris who, in 1836, was amazed by the “small new kingdom of Belgium”, which had produced a private establishment able to gather all resources together, whereas in Paris one was forced “to go to twenty different establishments” [Poiteau, 1836: 172-173]. The Etablissement was unquestionably the most active scientific centre in Brussels and in Belgium at the time, prefiguring in its unity the diversity of future national institutions. 16The library and the documentation on the themes of geography and natural sciences represented an incomparable volume and range of scientific information at a time when a central scientific library did not exist in Belgium. 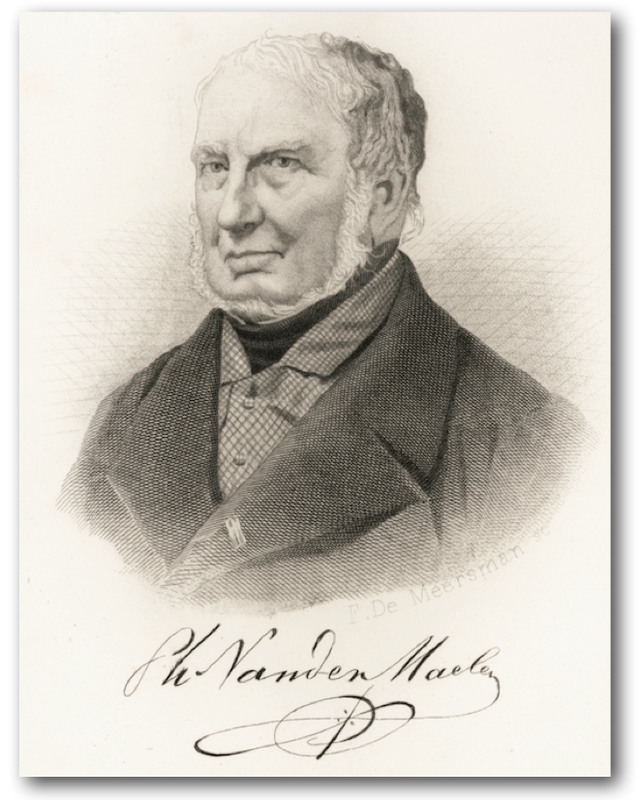 Vandermaelen’s free school and his Ecole Normale were an answer to the state of decline which affected public primary education after Independence, and compensated for the absence of teachers’ training colleges in the country for several years. 17Vandermaelen’s Galerie d’histoire naturelle, connected to a remarkably rich library and – for botanists – to the living plant collections, made up for the limitations of the Cabinet d’histoire naturelle at the Musée de Bruxelles, at least until in 1846 when the state founded the future Institut royal des sciences naturelles. At a time when the Jardin botanique de Bruxelles was struggling in a disastrous material and institutional situation, the Etablissement had developed a naturalisation garden, sumptuous greenhouses with rare plants thanks to the overseas expeditions financed by Vandermaelen and his brother, a botanical school and courses in botany and plant physiology. It provided scientists and students with an exceptional environment for experiments as well as powerful educational tools, which neither the future Jardin botanique national nor the Université de Bruxelles had at their disposal. From left to right: built along Chaussée de Gand, the houses of Philippe Vandermaelen and his brother and associate Jean-François; the camellia greenhouse, the orchid greenhouse, the orangery, the large greenhouse, the Etablissement Géographique. 18By organising and financing a novel programme of scientific expeditions to America and Oceania, the Vandermaelens gave an impetus to overseas scientific expeditions and trade missions and paved the way for other Belgian initiatives – first private and later public. By introducing many new species in Belgium and in Europe, in particular orchids, cacti and phanerogams, the two brothers gave a boost to Belgian botany and horticulture, helping to free the latter from British supremacy. 19Finally, Philippe Vandermaelen had created a museum of ethnography and archaeology, at a time when a true national public museum did not exist in these disciplines. 20Even before Université de Bruxelles, the Bibliothèque Royale and the big museums were founded, education, scientific collections, an exceptional library and several laboratories were made available by Vandermaelen. By building this space for sciences outside of all formal and official networks, Vandermaelen allowed young talented people who were often from a modest background to build valuable scientific careers in the disciplines of their choice. Let us mention the botanist and geologist Henri-Guillaume Galeotti, the chemist and academician Paulin Louyet, the botanist Jean-Edouard Bommer, the naturalist Ernest Vanden Broeck, and the historian and archivist Alphonse Wauters. Other young people who studied at the Etablissement marked themselves out in other disciplines and became renowned high ranking officials (Charles-Albert Fassiaux), architects (François Pauwels), decorators (Charle-Albert) or art dealers (Paul Van Cuyck). Many others from working-class backgrounds were able to escape their dreary fate thanks to the education and resources available at the Etablissement, and access careers as specialised artisans, employees and teachers. 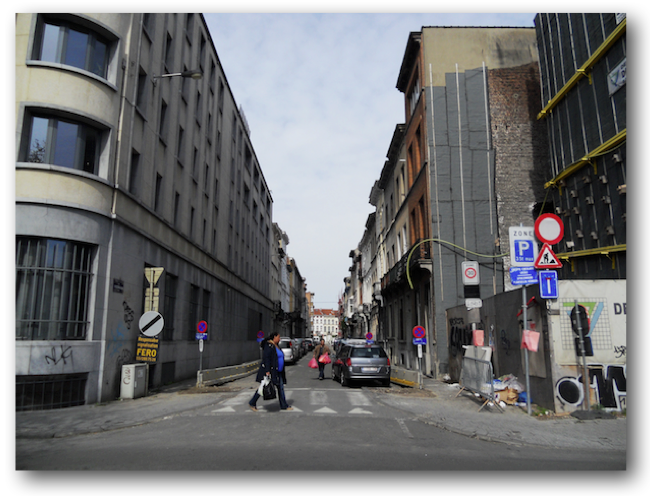 Since 1881, Rue Vandermaelen has linked Quai des Charbonnages to Place Communale in Molenbeek-Saint-Jean. It is the only trace of the majestic tree-lined path which led visitors to the prestigious Etablissement Géographique, of which nothing remains. 21Philippe Vandermaelen founded an establishment which, by filling the gaps of a state under construction, prefigured our big national institutions, in particular the future Institut géographique national. He was the initiator of national cartography and geography. He was also a pioneer in fields related to the sciences, namely education and information processing. 22The education which he implemented in 1830 was based on innovative and even revolutionary concepts. In his school, Vandermaelen offered tailor-made subjects and classes adapted to children’s skills rather than the contrary, and centred education on practice and experimentation. This flexibility and adapted education was unheard of on this scale. The interconnection of subjects and global learning combining theory, experimentation and application were in keeping with an integrated idea based on Philippe Vandermaelen’s global and humanist – as well as pragmatic – vision of geography. Secularity and the mixing of genders, religions, ages and social and cultural backgrounds did not fit the traditional mould and represented a new idea of education. 23For more than forty years, Vandermaelen, the “hero of classification, patient, methodical, intelligent and universal work”,9 devoted himself to the gathering, processing and dissemination of data. He wished to deal with reliable facts, “removed from all audiences”, and to process them according to the principles of statistics. He wished to compile “the statistics of our knowledge” [Houzeau, 1873: 133]. Designed to gather all human knowledge, his database was composed of four million index cards which covered all scientific literature from 1830 to 1869. No one before him had developed such a system for information processing. He attempted to publish the fruit of these continuous analyses in a journal, and then in Tables générales des connaissances humaines, in order to make his work accessible everywhere in the world, but his first publications were not followed up. He also wished to include his database in a large international network, feeding the documentation centre in Brussels and receiving data in return in a movement of exchange and mutual enrichment, but his efforts were vain. Philippe Vandermaelen was ahead of his time. 24When he founded his Etablissement Géographique, Philippe Vandermaelen was a universal man, just like Humboldt. It was a time, after that of the Encyclopédistes, during which it still seemed possible for all human knowledge to be manageable by a circle of scholars, a single institution, or even by just one person. But soon, changing society, scientific and technological progress and the exponential development of knowledge broke universal science apart, causing the diversification and specialisation of knowledge, and making the universality of knowledge nothing more than a utopian idea. Vandermaelen experienced this change. Long before his death, his dream of a universal classification had become nothing more than fanciful. 25At the end of the 20th century, another utopian thinker was rediscovered: Paul Otlet (1868-1944), “the man who wanted to classify the world”, had been forgotten until then, except by a few specialists and free and inspired spirits [Levie, 2002 and 2006].10 More than half a century after Philippe Vandermaelen, Paul Otlet wished to centralise all of the world’s knowledge and “catalogue in full the bibliographical production from throughout history, from all places, and on every subject” [Otlet , 2015: vii]. One may have thought it was the cartographer speaking. Like Vandermaelen, Otlet chose index cards as an instrument for the rationalisation and standardisation of information. Both men knew that in order to achieve their goals, they had to break away from traditional books and divide information by combining it in a new format. Beyond the dissemination of universal knowledge, the ultimate objective of Otlet and his associate La Fontaine was to favour fraternity among peoples and promote peace. In the same way, Vandermaelen wished to make his Etablissement an instrument of progress and “to plant the seed of tolerance and universal fraternity in people’s hearts” [Vandermaelen & Meisser, 1831: xv]. Otlet and Vandermaelen were both citizens of the world. When they opened their Palais Mondial in 1920, Otlet and La Fontaine had the ambition to make it a centre for gathering and sharing their document library, as well as a “universal encyclopaedic museum” [Otlet, 2015: ix] showing civilisation in all countries, and a permanent and multi-purpose centre for information and influence. 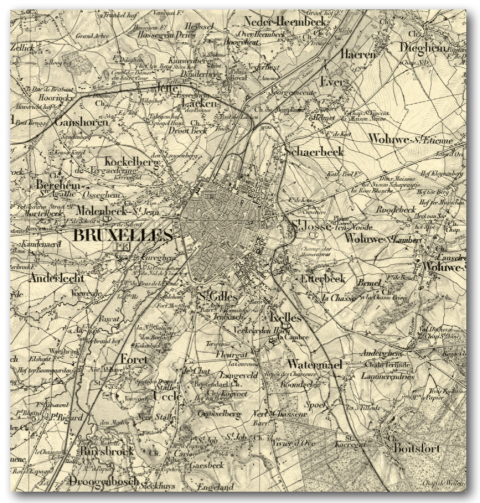 This took place ninety years after the creation of the Etablissement Géographique de Bruxelles. Otlet went further than Vandermaelen, as he had more concrete ambitions to build a world community and an international society (in 1914 he began to think about the basis for a future League of Nations), and also because he experienced major innovations in media (telephone, radio, television, cinema, records), which opened unsuspected doors for him. But beyond these differences related to their time – although they never knew each other, as one was born nine months before the other’s death – Otlet is indisputably Vandermaelen’s heir. 26Vandermaelen was also a forerunner in more marginal and surprising areas. In 1830, he was the author of the first lithographed playing cards in Belgium and even in Europe, and in 1852, he exhibited a collection of postage stamps for the first time in the world, and would forever be remembered in the history of philately. 27By mixing the branches of the vast and fertile field of geography, Philippe Vandermaelen was a visionary and an innovator. Above all, within a single scientific centre, the founder of the Etablissement Géographique de Bruxelles developed instruments, institutions, networks, dynamics and initiatives which the Belgian state did not have the means to take. By embracing an incredibly broad range of areas, he gave an impetus to intellectual life in Belgium, paving the way for scientific research, geographical studies, networks of international exchanges, the gathering and dissemination of statistical data, voyages of exploration, education, and of course, cartography, which was an instrument of political affirmation and a tool for economic growth. And all of this took place in a spirit of social solidarity, which was exceptional for his time. BRITISH ASSOCIATION FOR THE ADVANCEMENT OF SCIENCE, 1858. Report of the twenty-seventh Meeting of the British Association for the Advancement of Science held at Dublin in August and September 1857. London: John Murray. CONGRÈS INTERNATIONAL DE GÉOGRAPHIE, 1892. Compte-rendu du Vme Congrès des sciences géographiques tenu à Berne du 10 au 14 aout 1891. Bern: Schmid, Francke & Cie.
CUVELIER, J., 1938. Wauters (Alphonse). In : Biographie nationale. 27. Brussels : Académie royale de Belgique. col. 110-115. DELGEUR, L, 1877. Intervention in : Bulletin de la Société de géographie d’Anvers. 1877, Vol. 1. DRAPIEZ, A., 1846. Notice sur l’Établissement géographique de Bruxelles. Brussels: [Établissement géographique de Bruxelles]. HATIN, E., 1865. Les gazettes de Hollande et la presse clandestine aux XVIIe et XVIIIe siècles. Paris: René Pincebourde. HENNEQUIN, E., 1885. Notice sur les cartes agricoles de la Belgique. In: Bulletin de la Société royale belge de géographie. 1885. Vol. 9, pp. 101-163. HENNEQUIN, E., 1891. Etude historique sur l’exécution de la carte de Ferraris et l’évolution de la cartographie topographique en Belgique depuis la publication de la grande carte de Flandre de Mercator (1540) jusque dans ces derniers temps. In: Bulletin de la Société royale belge de géographie. 1891. Vol. 15, No 3, pp. 177-296. HOUZEAU, J.C., 1873. Notice sur Ph.-M.-G. Van der Maelen, membre de l’Académie. In: Annuaire de l’Académie royale des sciences. 1873. Vol. 39, pp. 109-147. LEVIE, F., 2002. L’Homme qui voulait classer le monde. Film documentaire. Une coproduction Sofidoc, Wild Heart Production, RTBF Charleroi. LEVIE, F., 2006. L’homme qui voulait classer le monde. Paul Otlet et le Mundaneum. Brussels: Les impressions nouvelles. O’MEEGHAN, M., 1990. Catholic Beginnings in New Zealand. An Overview. In: Christian Brethren Research Fellowship Journal. 1990. No 121, pp. 29-34. OTLET, P., 2015. Le livre sur le livre. Traité de documentation. Préfaces de B. PEETERS, S. FAYET-SCRIBE & A. WRIGHT. Brussels: Les impressions nouvelles et le Mundaneum. POITEAU, P.A., 1836. Note sur l’Établissement géographique fondé à Bruxelles, en 1830, par M. Ph. Vandermaelen. In: Annales de la Société royale d’horticulture de Paris. 1836. Vol. 19, No 109, pp. 171-173. QUETELET, A., 1825. Académie royale des sciences et belles lettres de Bruxelles. In: GARNIER, J.G. & QUETELET, A., Correspondance mathématique et physique, Vol. 1. Ghent: Vandekerckhove, pp. 350-351. QUETELET, A., 1866. Le baron F.-H.-A. 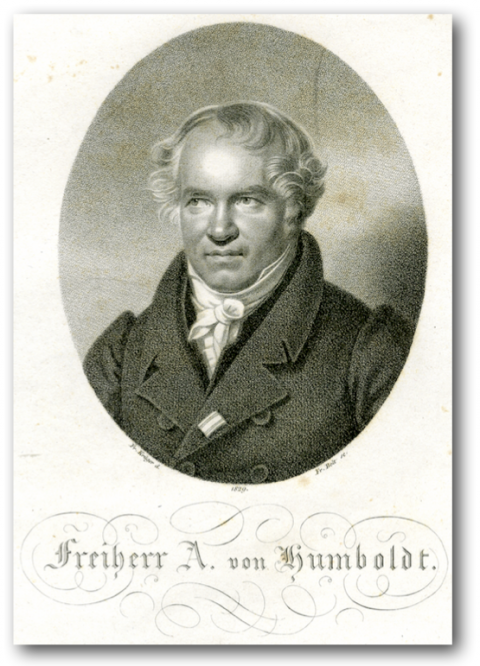 de Humboldt. In: QUETELET, A., Sciences mathématiques et physiques au commencement du XIXe siècle. Brussels: Thiry-Van Buggenhoudt, pp. 592-607. SELIGMANN, H., 1938. La cartographie en Belgique. In : Grande encyclopédie de la Belgique et du Congo, vol. 1. Brussels: Editorial-Office, pp. 28-29. SHIMAZU, T., 2015. Modern Atlases as diplomatic Tools: Philippe Vandermaelen’s Atlas de l’Europe and Dutch-Japanese Relations in the Mid-Nineteenth Century. Wakayama: Wakayama University. Working Paper. RUMSEY, D., 2014. 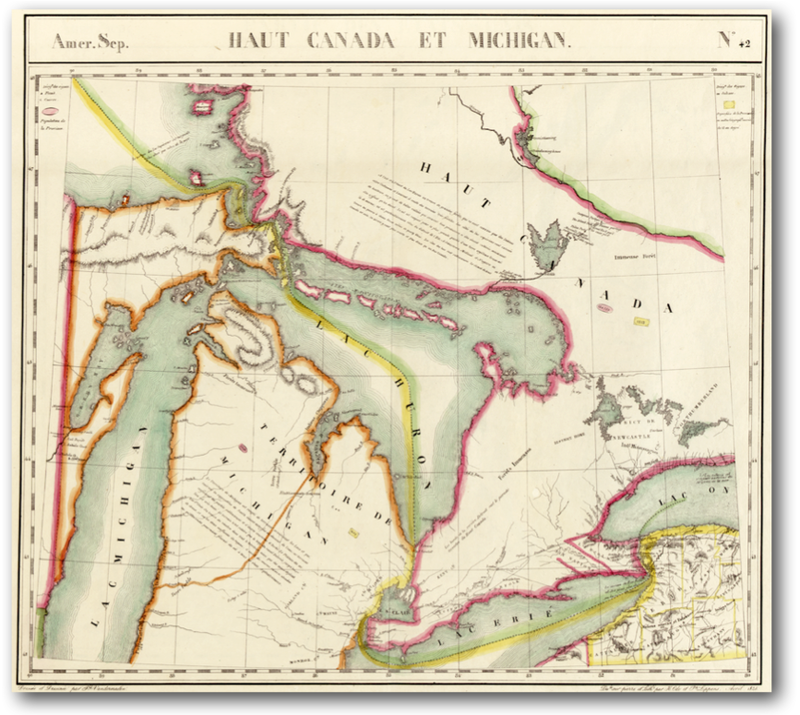 David Rumsey Map Collection. In: http://www.davidrumsey.com [online] [retrieved on 12 December 2014]. VANDERMAELEN, P. & MEISSER, F.J., 1831. Mémorial de l’Établissement géographique de Bruxelles. In: Dictionnaire géographique de la province de Liège. Brussels : Établissement géographique de Bruxelles, pp. v-xxv. WASOWICS, J., 1934. Ph. Vandermaelen, cartographe remarquable et oublié du XIXe siècle. In: UNION GÉOGRAPHIQUE INTERNATIONALE, Comptes rendus du Congrès international de géographie Paris 1931, III. Paris : Armand Colin. pp. 676-678. 1 It was on Vandermaelen’s maps that the Roman authorities drew the reciprocal boundaries of the Apostolic Vicariates of East Oceania (created in 1833) and West Oceania (created in January 1836) [O’Meeghan, 1990]. 2 Following the Exposition nationale des produits de l’art et de l’industrie in 1880 in Brussels, where the map on a scale of 1:20 000 of the Institut cartographique militaire was presented, the author of the report on the event, which appeared on 29 August 1880 in a Catholic newspaper from Ghent called Le Bien Public, noted that “geography has always been honoured in Belgium” and mentioned “Ortelius and Mercator in the 16th century, and Philippe Van der Maelen in the 19th century [who] won fame through their cartographic publications”. He noted that “today, the government has replaced private initiatives most of the time for large undertakings of this type”. 3 David Rumsey is the founder of the David Rumsey Map Collection and the president of Cartography Associates. 4 Example taken from the website of Antique Atlas in the United States (Alabama) (http://www.antiqueatlas.com/shop.asp?action=details&inventoryID=179344&catId=12991; retrieved on 22 March 2012). 5 Example taken from the website of Lee Jackson Antique Maps in London (http://www.leejacksonmaps.com/Central-Asia.htm; retrieved on 22 March 2012). 7 The name of “Humboldt (Baron Alex. von), in Berlin” appears on an “additional list of people who have visited the Etablissement” [Drapiez, 1846: vii]. Quetelet said that he saw Humboldt in Brussels in 1844 [Quetelet, 1866: 605]. In any case, the German scholar was in Brussels during the first days of 1845 (Journal de Bruxelles, 2 and 4 January 1845). 8 As the title page of these dictionaries does not indicate an author’s name apart from the note “Dr Meisser is in charge of writing and correspondence”, we should like to point out, along with Houzeau, that “the plan for the Dictionnaires géographiques of our provinces was entirely his [Vandermaelen’s]. For correspondence and writing he took on Dr Meisser, a man of virtue who was the secretary of this publication. But the idea was his, as was the implementation plan” [Houzeau, 1873: 129]. 9 According to Jules Duval’s note [Hatin, 1865: 90]. The progressive journalist Jules Duval (1813-1870) went to the Etablissement when he participated in the Congrès international de bienfaisance in September 1856 (he signed the visitors’ book on 24 September). He conducted research for Vandermaelen on Algeria, where he had lived since 1847. He told Houzeau that “despite his ten years of practice in Algeria, he had found many bibliographic references under Algeria which were new to him, in the filing cabinets of our colleague” [Houzeau, 1873: 135]. 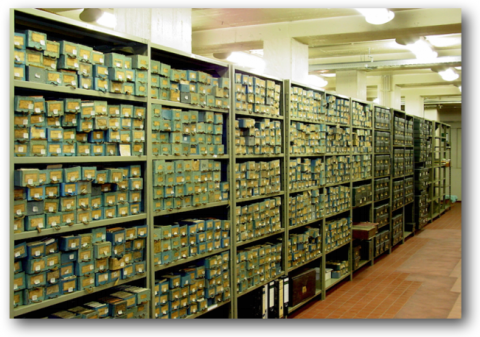 10 After several moves and transfers leading to the disappearance of large parts of the collections, what remains of the classification work of Otlet and his associate La Fontaine – the Mundaneum – was gathered, saved and made available to researchers in a new space in Mons, inaugurated in 1998. Thanks to this new Mundaneum and several recent publications, Paul Otlet emerged from obscurity and is now known by the general public.